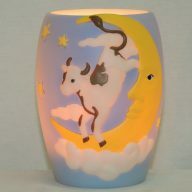 Favrille Blue Trumpet 17 inch 1.8 watt LED memory lamp. 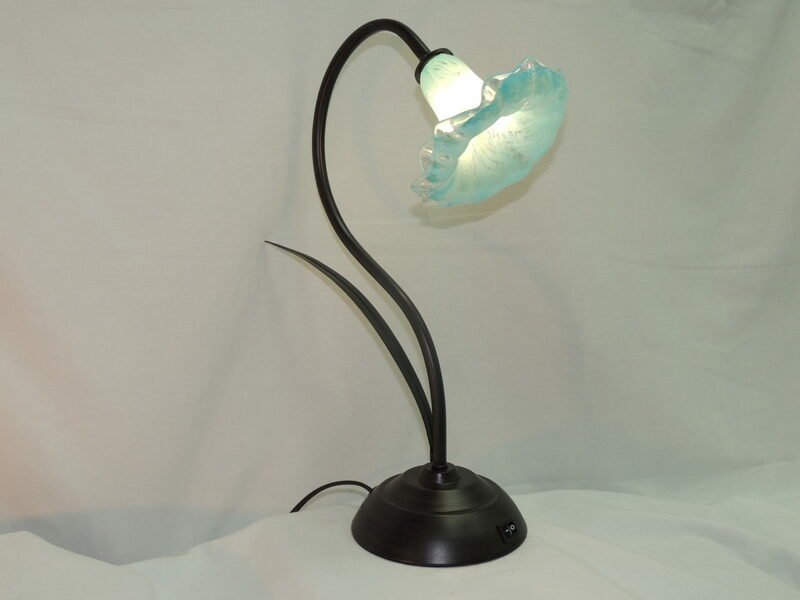 This Favrile Blue Trumpet LED accent lamp combines vintage design with LED technology. 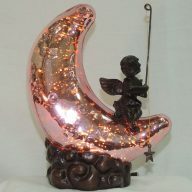 The beautiful hand blown glass trumpet on this gift of light hangs gracefully over the mica bronze finished metal base. 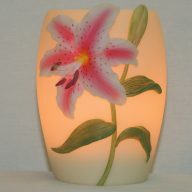 A wonderful and thoughtful gift in lieu of flowers for bereavement or to celebrate a special occasion, this unique lamp will compliment most home decors.